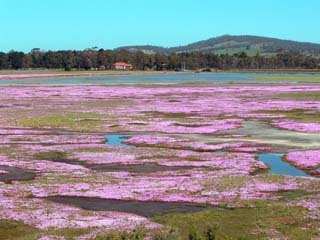 Tasmania has one native species of Disphyma (D. crassifolium). 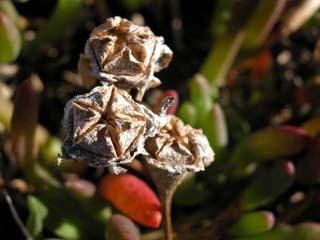 This creeping succulent is common in and around saltmarshes. 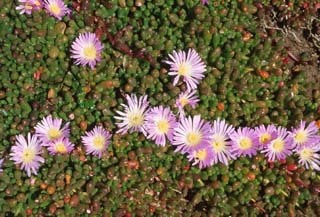 The leaves and flowers are usually smaller than Carpobrotus, and the leaves do not have the distinctly triangular cross section of that genus. The fruit is dry (a capsule).